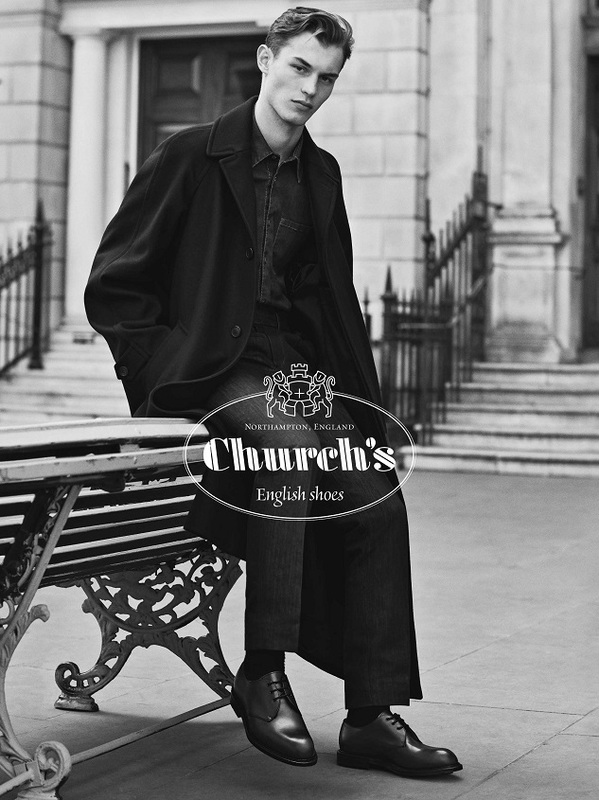 ‘Alluring’ is the theme of Church’s latest advertising campaign, starring a cool young British couple, who wander around London’s streets: past white colonnades and mews houses, sitting on the bonnet of a black cab, on traditional benches or on the steps of elegant homes. Lachlan Bailey’s black-and-white shots capture the essence of ‘modern elegance’ that has been at the heart of Church’s style for over 140 years: restrained yet sophisticated, traditional yet constantly evolving, and handed down from generation to generation, where the only constant is excellence. A timeless elegance reinterpreted by a new generation that while appreciating the most traditional aspects of British style gives them a modern feel and makes them their own, with irony and a sense of humour. In parallel with the campaign, Church’s has also created a short film in black and white directed by Marco Braga and Giuliano Federico, with Lachlan Bailey as director of photography. The film revisits and expands upon the story and the moments captured in the shots taken for the campaign.